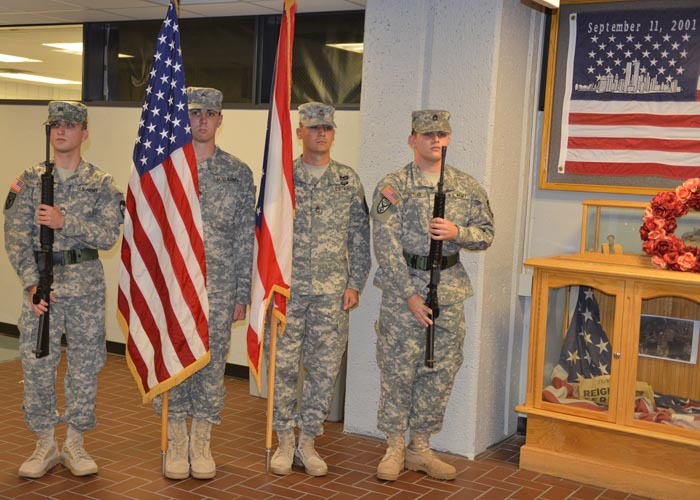 The YSU ROTC Color Guard stands next to the Sept. 11, 2011, display case on the second floor of Cushwa Hall during the university’s 9/11 Memorial Service earlier this month. 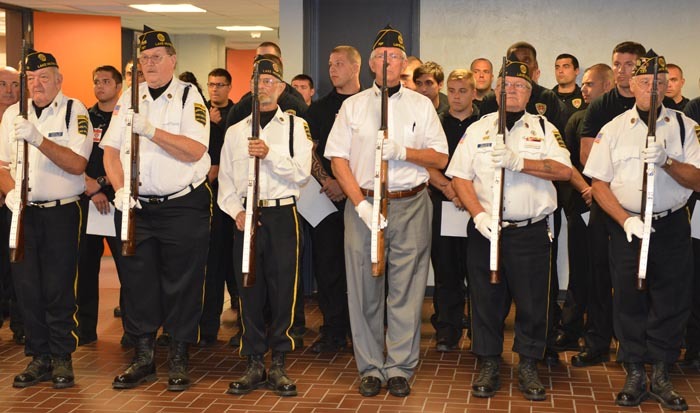 The service honored police officers who died during the terrorist attacks on Sept. 11, 2001. Names of the deceased police officers were read.